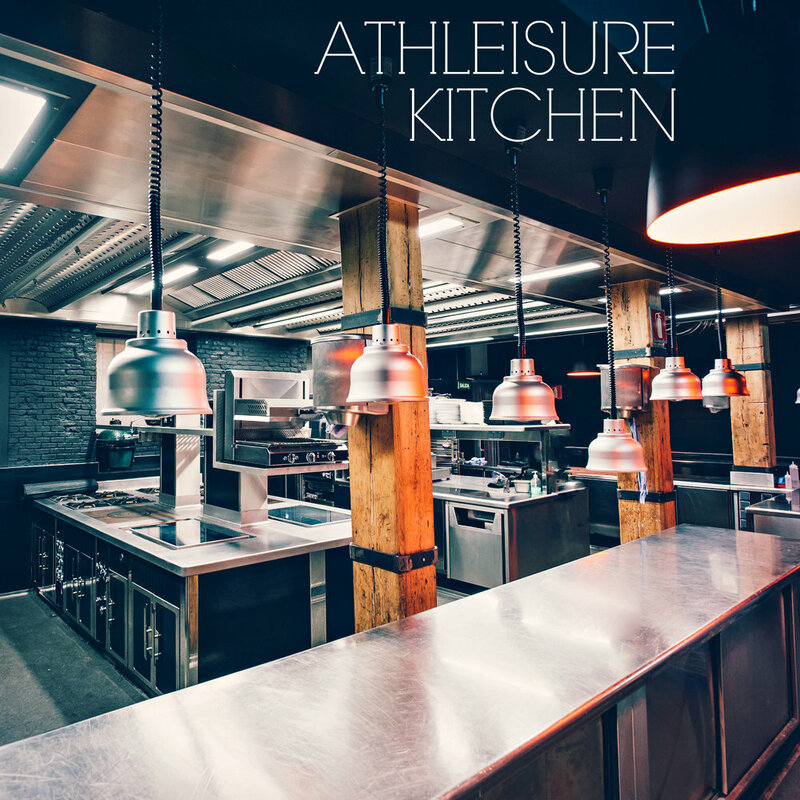 Athleisure Magazine catches up with restaurateur Stratis Morfogen, who has recently launched Jue Lan Club, (pronounced “You Lan”, a new two floor, 275-seat restaurant, names after the 1930’s Chinese art society, situated in the legendary former NYC night-club, the Limelight. His all-star team boasts partners nightlife impresario Richie Romero and Executive Chef Oscar Toro. ATHLEISURE MAG: We find much innovation comes through reconstruction by bold change agents, how does Jue Lan Club move the needle with cross-cultural and modern-traditional twists? STRATIS MORFOGEN: Giving new life to such an iconic property was very important to myself as well as the whole team, but we wanted to make sure the spaces’ history wasn’t lost. We left many of the original elements of the former church built in the 1840’s untouched, like the exposed brick, stained glass, window fixtures and the original layout, while creating an edgy and modern Chinese menu. The design narrative of Jue Lan Club follows suit of three principles, Madame Adventurist, The Jue Lan Club and the 1930’s Glam/1980’s Grit. AM: Over the years, you have rightfully advocated food, service, atmosphere and location are key elements for success in dining and hospitality. What makes Jue Lan Club spot on? SM: For me, food and service are just two of the driving forces to our end goal - Jue Lan Club. Jue Lan Club is the perfect combination of an all-in-one entertainment as well as dining destination. A number of variables play into a successful dining and hospitality experience. Not only is the food the main driving force but the atmosphere and service are key as well. To bring the experience full circle is simply to meet the patron’s expectation. The attention to fine detail may seem simple, but my partners and I feel that paying attention to small details sets the mood which in turn aids in a successful dining experience. AM: How did you come to meet Executive Chef Oscar Toro (former executive sous-chef of Buddakan)? How much work goes into making a unique, top-notch menu? SM: I met Oscar years back when I was a fan of Buddakan under his watch. I revisited the restaurant after I had been there several times and I was ultimately blown away but all of Toro’s talents. I knew right there that Oscar Toro was the real deal. As we joined forces, Oscar and myself wanted to take a lighter and cleaner approach to typical Chinese cuisine, and we’re thrilled with the results! Oscar has made his own variation of raw dishes like the Salmon, Chinese Celery, Mustard, Toasted Sesame dish which he uses Chinese ingredients, swapping expected flavors for the unexpected. AM: Pioneering a nouveau Chinese-style Raw Bar is an excellent vision, what new flavors will we taste outside established Japanese or Spanish raw bar offerings? SM: We wanted to make sure we distinguished ourselves from the pack, and debuting one of the first Chinese raw bars in Manhattan was the perfect way to do that. Our raw dishes include what one would expect from a traditional crudo, but it’s elevated with unique Chinese flavors ranging from traditional, sweet, sour, salty and bitter, we now incorporate spicy. AM: What are some must-have signature dishes and cocktails? SM: Some of the must-have signature dishes stand for themselves on their taste, but also the artistic plating Oscar Toro conveys. For example, from the raw bar there is the Salmon, Chinese Celery, Mustard, Toasted Sesame, which ultimately melts in your mouth. Moving forward in the meal, the Braised Oxtail Sloppy Bao Buns, Chilean Seabass, Black Bean, Ginger Garlic Sauce, Pork Dumplings are handmade and perfectly portioned. We love to emphasize that the dumplings are handmade by the one and only Chef Toro, which he used flavored dumpling wrappers with its corresponding unique fillings to complete perfection. We also have a specialty cocktail list, which are our in-house “Fresh Squeezed Juices” to compliment the Chinese inspired dishes as well as the history of the Limelight. The Tea & Symphony, Forbidden Cocktail and the Club Kid are just among the several cocktails we offer. AM: How about for those looking for lighter fare or especially watching calories? SM: The whole menu was created with a lighter, cleaner approach, which we felt would be a crucial selling point for all types of gatherings, especially for ones watching calories. The raw bar menu offers small plates ranging from, Salmon, Chinese Celery, Mustard, Toasted Sesame, to Yellowtail, with Ghost Pepper Oil, to Tuna, Avocado Puree, Red Pepper Jam and Cilantro. With the overall national trend of clean eating. Oscar and myself felt it was necessary to appeal to all types, leaving guests feeling satisfied, not stuffed. AM: It’s refreshing that you brought an in-house art curator (Emerald Gruin, L.E.S. Rox Gallery) to feature rotating and permanent exhibitions alongside cuisine. What will we see? SM: We embraced the art history of the Limelight by incorporating original pieces from artists that frequented the nightclub, such as Keith Haring, while paying homage to other like Andy Warhol with one-of-a-kind photographers taken by David Gamble of Warhol’s most prized possessions. We also have gorgeous black and white photos of the club’s VIPs on display. For new and returning patrons, we felt that it was in everyone’s best interest to give them the best of both worlds, with incorporating a rotating art gallery. Every so often guests will be excited to see new handpicked pieces hanging on the walls. AM: Your staff is known to make patrons feel welcome and anticipate a special experience, what is the recipe for a winning team? SM: I feel that the recipe for a “winning team” is dependent on the management and staff. In order for me to execute this, I felt it was in the best interest of the patrons to hire responsible, friendly and welcoming staff members, versus only seeking out those with solely restaurant experience. The combination of interpersonal skills, responsibility, passion and diligence is key to success, which is directly correlated to our returning patrons, based on their overall experience. AM: We are thrilled to hear you have plans to expand globally with friend and partner-hotelier Vikram Chatwal (Dream Hotel, Night Hotel, Time Hotel and more). Do you have any tips for those striving for consistency and timing when growing a business? together. To date, we are the only restaurant group to sign a global partnership deal with a top tier hotel, before opening the flagship restaurant. With all that said, we are extremely proud of what we have accomplished leading up to today and forsee a great future in hospitality. Such opportunities could never have come to light without my partners and I preaching consistency throughout our careers in the realm of hospitality. club scene with our art, music and fun atmosphere. We like to keep the heydey of the ‘80s and ‘90s club kid era alive and present.